Marc Pelletier and Tim Sullivan are St. Petersburg criminal defense attorneys and former state prosecutors who represent people facing DUI, misdemeanor and felony charges arising out of St. Petersburg, Clearwater, and other areas of Pinellas County, Florida. The law office of Russo Pelletier & Sullivan is highly rated by local judges and lawyers as a top “Pinellas County criminal defense Martindale Hubbell” AV Rated law firm. This distinction represents the highest possible rating in both legal ability and ethical standards. Our website is often highly praised by clients who use it as a primary resource for understanding both Florida criminal charges and our local Pinellas County court system. You can learn about common first degree misdemeanors and second degree misdemeanor offenses in Florida. If you are facing a felony charge you will find numerous articles on how we defend Pinellas County felony cases. 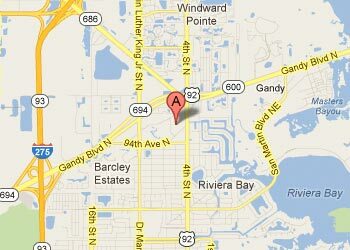 We also maintain an extensive website dedicated to Pinellas County DUI defense. Many pages contain informative videos designed to quickly get you up to speed on the tops areas of interest relating to Pinellas County DUI, felonies and misdemeanors. These videos include important criminal defense topics such as: getting the charge dismissed through the PTI diversion program, side stepping a formal conviction through a withholding of adjudication, avoiding incarceration and the sealing or expungement of criminal records. Being charged with a crime could be one of the most challenging and uncertain times of your life. We recognize that getting good answers to your most immediate questions could provide you with a better peace of mind. Whether you are charged with a DUI, a first or second degree misdemeanor, or a felony charge, you can learn about both legal defenses and possible solutions. You are invited to take advantage of our comprehensive criminal defense website. You will find us to be great listeners and experienced Pinellas county criminal defense attorneys. Tell us about your top priorities in the resolution of your criminal case. We are highly motivated to seek out a result that safeguards what is most important to you. A good St. Petersburg Criminal Defense Attorney should be willing to educate you on all the issues and your options. We are committed to providing you with the highest quality of legal services in the most efficient and economical manner. Fundamental to our sound attorney-client relationship is a mutual understanding of your objectives and our open communication while in pursuit of your goals. We place an emphasis on keeping our clients reasonably informed of progress and developments in their case. We also place a high priority in our responsiveness to their inquiries. A large number of our clients come to us having been referred by former clients which confirms the success of our law office practices. If you are looking for a top Pinellas criminal defense lawyer to represent your best interests, it is important to closely consider the nature of the lawyer’s background and experience. At Russo Pelletier & Sullivan, you benefit from a team approach that involves both attorneys – Marc Pelletier & Tim Sullivan. Our law firm draws upon the insight and tactics we learned as former state prosecutors, as well as almost four decades of criminal defense experience to help you. Our practice is limited to handling DUI, felony and misdemeanor charges arising out of only the St. Petersburg, Clearwater and Pinellas County area. As a result, we are very familiar with the customs and practices of our local Pinellas County judges. We believe that we have earned a top reputation as highly rated St. Petersburg criminal defense attorneys who craft creative strategies and effective defenses. Awarded only to law firms with the highest level of skill, integrity, an ethical standards. An attorney-led research team named the top 2.5% of lawyers in Florida for this distinction. Tim Sullivan was honored to be recognized as a member of this prestigious group of legal practitioners. Marc Pelletier was honored by the local legal community when he was elected President of the Pinellas Association of Criminal Defense Lawyers. This popular consumer resource rated Marc Pelletier and Tim Sullivan “Superb” for their legal experience, peer recognition and professional conduct. The law firm of Russo, Pelletier & Sullivan is honored to be included in the prestigious Martindale Hubbell Bar Register of Preeminent Lawyers. The defense attorneys at Russo, Pelletier & Sullivan are honored to be members of the Florida Association of Drug Court Professionals. Attorney Tim Sullivan is an official Pinellas county juvenile criminal court diversion arbitrator. What Can I Use My Business Purposes Only License For in Florida?